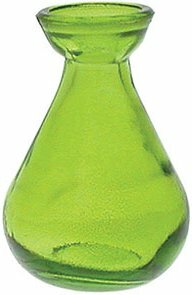 This glass teardrop vase is lime green in color. It stands 4 3/8" tall and is 2 3/4" in diameter. Made from recycled spanish glass.